Maybe it's my current mood, but I went all emotional while reading this book. And it's rare.I liked this book enough to give it 4 stars. I loved the characters (Petey! ), the plot and the writing. 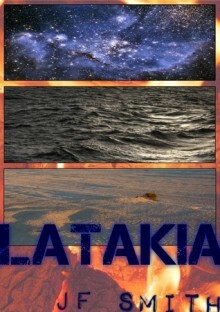 I bought Latakia two years ago and every time I started it I stopped. The first three chapters are so disjointed and oddly written I kept giving up. This time I was encouraged to keep reading. I got an amazing read. JF Smith is becoming a must-read for me. Petey made me tear up.